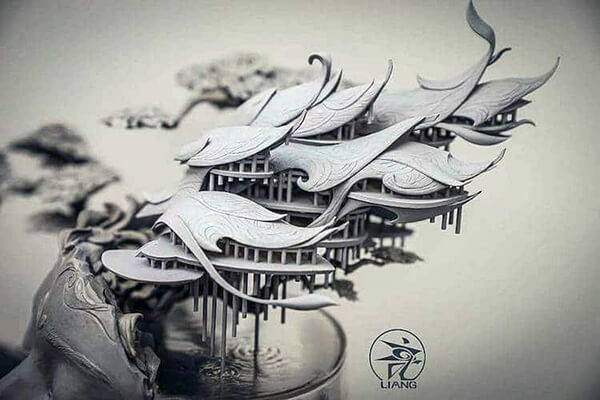 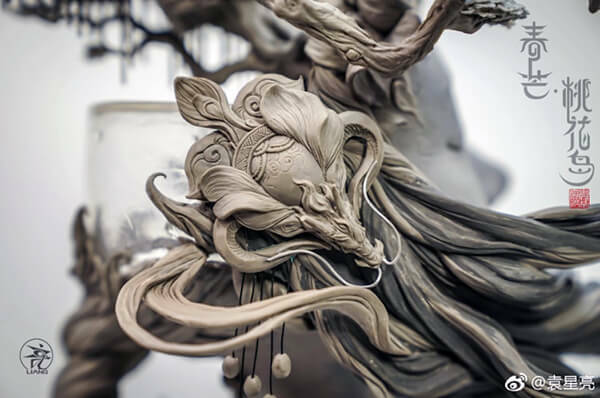 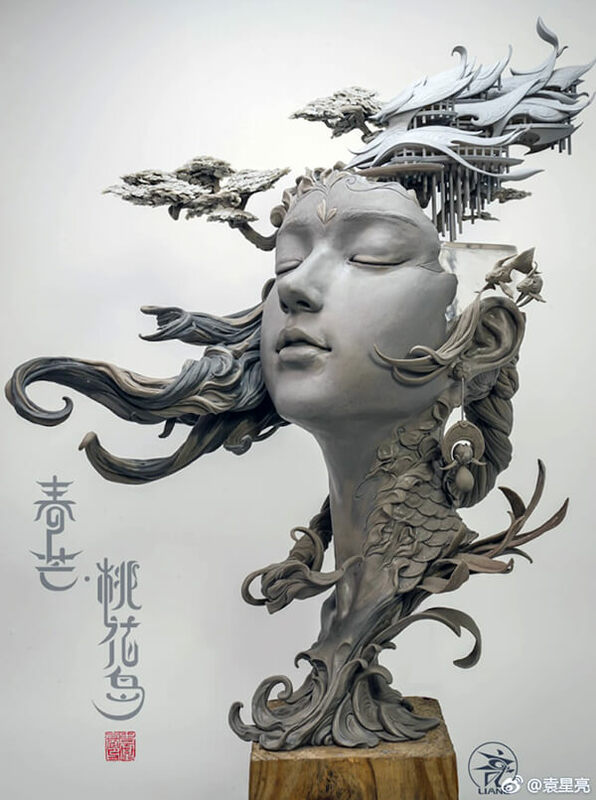 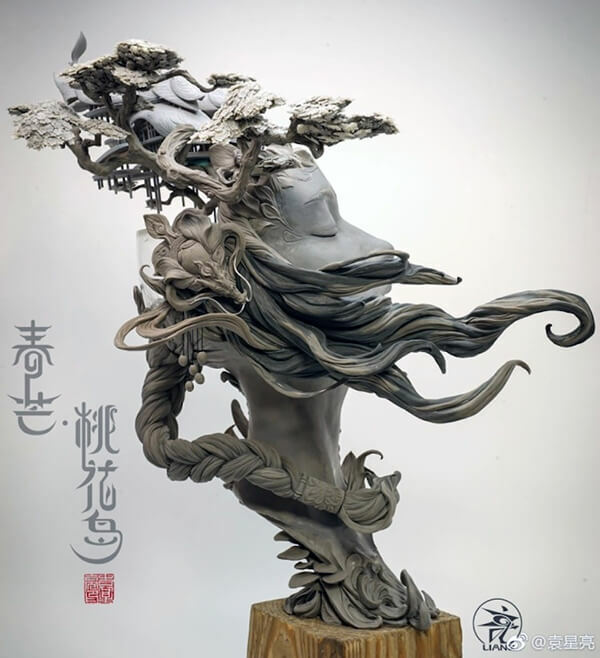 “Peach Blossom Island”, the latest work from Chinese artist Yuanxing Liang just took the tradition bust sculpture to a new level. 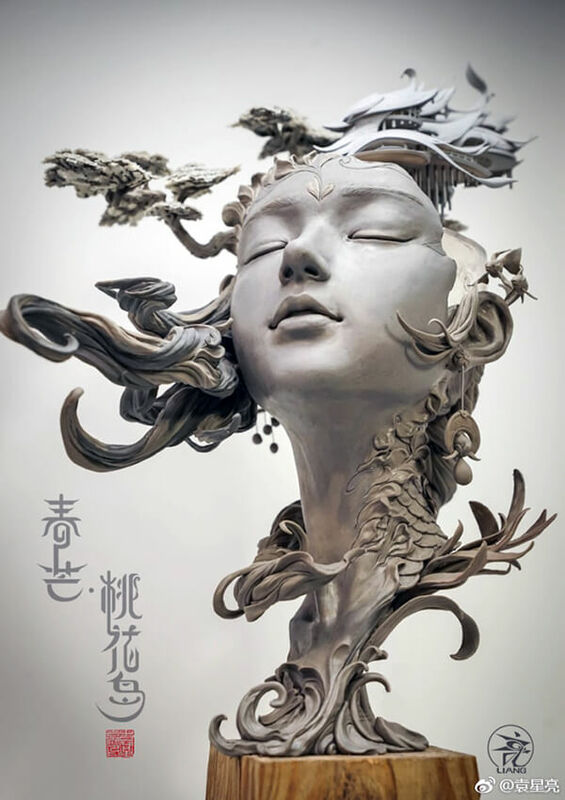 The prototyping teacher crafts intricate portraits featuring faces of women that are fused with delicate flourishes and elements of landscapes. 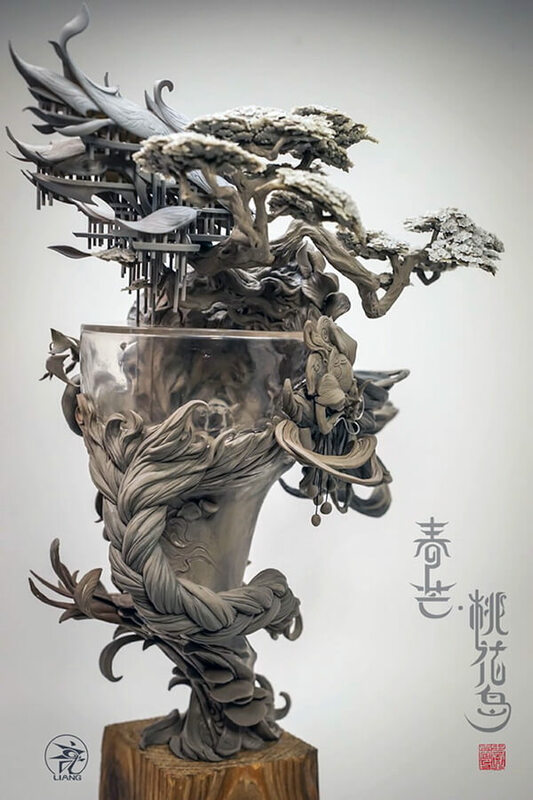 Most importantly, her hair becomes a site of surrealism – miniature buildings, fish ponds, and trees make their homes there. 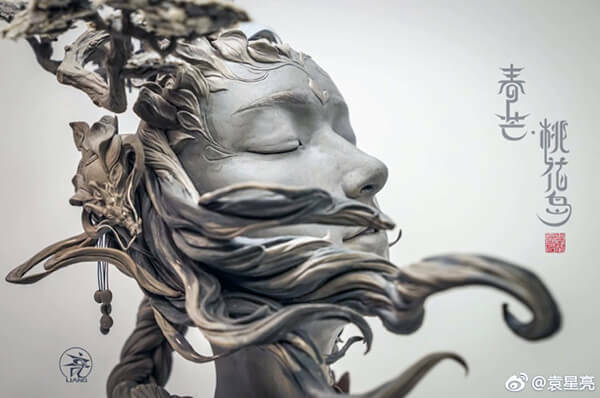 Take a look at photos from different angles of this sculpture and its 360 degrees of incredible details will definitely make you admire.